Featured as one of Top 10 Great Asian Gifts! Looking forward to new classes! Show and Tell Monday ~ New Toy! I planned to post this earlier, but since coming back from vacation, I am still extremely busy with unpacking, clearing, laundry, plus entertaining an overseas friend who came by. I've been eating pretty much non stop since I was back. Chicken rice at Mandarin, french cuisine at Au Petit Salut, seafood buffet at Ritz. 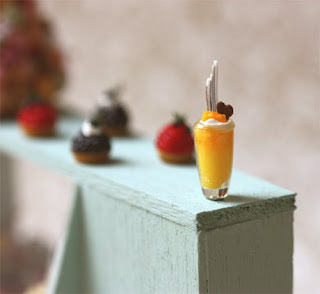 The desserts are to die for at Ritz.. Looking back, I've been playing and making miniatures for over 4 years. 2009 was a humbling experience for me. I got to know many wonderful people...through them, I learnt how to be patient, how to have fun, how to continuously improve in my work. 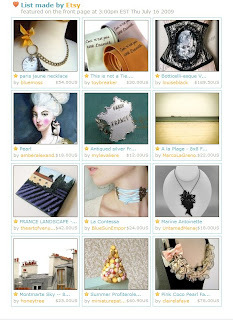 I'm humbled that my handmade creations have been mailed to some faraway countries, in the homes of loving collectors. It is an unbelievable feeling whenever I receive emails and mails from collectors all over the world who tell me how happy they were to find me, how much they like my creations. I am deeply grateful, that you loved my creations. You know, creating beautiful miniatures makes me happy. Being able to create something so small and yet aesthetically pleasing to the eye brings tremendous joy to me. Having to hold it in my hands and knowing I can marvel at it whenever I want to is an undescribable feeling. Having people who like them as much as I do is definitely a bonus for me. The past year also tested my dedication and passion. It gave me deeper insights into what made me happy. 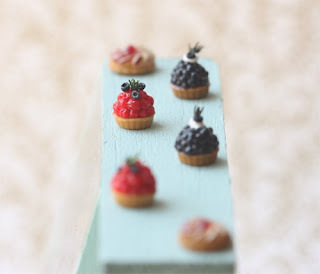 At the end of the day, I knew creating miniatures was something I loved doing. The process of creation took my stress away and sets me free. Sometimes it can be stressful because I only have a pair of hands, and I can only churn out so many within a short time frame, but I am grateful people understood when I explained the painstaking process and time taken to create each piece of work. I always believed that if I didn't enjoy the process, it would show in the work. I know, for sure I will continue to enjoy creating miniatures in the new year. I want to keep that going. Thanks to all, who have given me opportunity to make something for you. 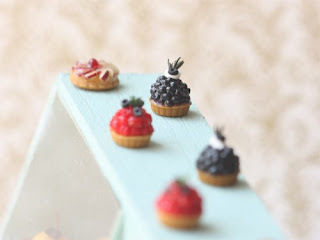 It has always been my sincere desire that the miniatures I create brings you much joy, I can't be there personally to see your reaction to my creations, but I can only hope whenever you see them, you will be smiling. That has been my goal, and it always will be. Thanks to my friends, who have supported my passion and believing in me. Even when I doubt myself, you still chose to believe I can do it. Thanks to all, who have come into my life and given me much huge impact and learning. Thanks to my teachers, who have shared their knowledge, little life stories, experiences. Each little exchanges we have, gave me glimpses and deeper insights in your journey. Through them, I have a new found respect for passion. Passion for handmade, passion for creating, courage for taking the road less travelled. 2010, a new year. I don't really set new year resolutions. My wish is to continue to work on new creations, enjoy the process, and hopefully it shows in my work. Everything else, is just really a bonus. With that, I wish all of you a Happy New Year! Wishing you the best of health, happiness and success in whatever you do! Last week, I tried macarons for the first time in my life. And I mean, real macarons. The tea I picked was English Breakfast Tea. Nothing complicated, but a hot cup of tea is something you’ll truly be thankful on a cold day. The tea tastes good, and you can tell they put in a handful of tea leaves. I love that I can pour 4 cups out from the tea pot. Very generous serving of tea indeed! I'm going to make more of these smaller version ones next year. In fact I have another version that I wanted to try, but never had the time to really sit down to experiment. It's still in my list to do! I had a very pleasant and unexpected surprise when I was told I was featured on CNNGo as one of the Top 10 Great Asian Gifts! 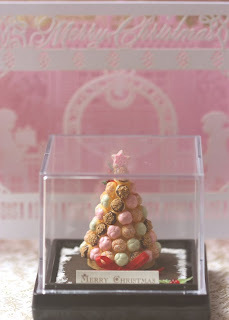 I spent my weekend putting together a 1:12 scale christmas profiteroles tower. I've never tried putting togerther a tower in such a short time, but I've been really hard pressed for time. 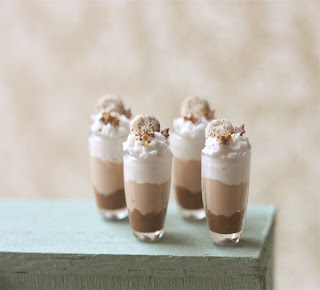 It can be done, but first, all the profiteroles have to be prepared. And I made sure I make more than enough! I'll be leaving for holidays end of this week! I'm excited, and wishing all of you a Merry Christmas! I'll be back before the new year! I'm also excited as I hear about a brand of acrylic paint that I need to try. As soon as I try it out, I should blog about it. 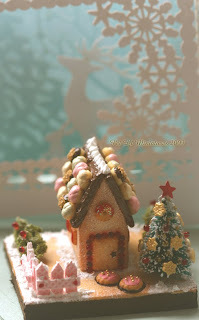 For the christmas gift exchange, I further expanded on the christmas gingerbread house theme, and made it into a mini scene. 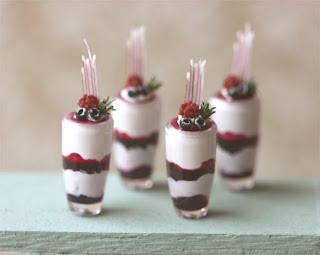 On the top, I decorate it with white chocolate and berry stripe decoration, a raspberry and blueberries. I made a little sale on Monday, but guess where I spent the money immediately? I chanced upon the MakeMinePink Angel Family 2009 project, and saw there were still empty spots for donation items. Each year MMP holds an Angel Family drive to make Christmas special for others in need. Last year we out did ourselves! It was magical and heartwarming. We helped quite a few people enjoy Christmas. So basically there are a few families that need help and the members of the families would have a list of needs/wants. You pick what you are able to donate/giveaway. I picked to buy some makeup for a 16 year old teenage girl. I didn't feel confident to get items like clothes or shoes as the sizes here would be very different, so I picked a category that I was confident instead. I wrote Joyce an email immediately, she gave the go ahead and off I went getting the items during lunch hour. :D I managed to get a cheek blusher, nail polish, eye shadow quad and a duo wand lipgloss. :) It was the first time I'm shopping cosmetics for a teenager but it was really fun. I reminded myself to pick sweet colours, colours that young girls would adore. I didn't manage to take a photo as I was in a hurry to put it in the mail!! I hope it gets there safely! I had a productive weekend. I skipped a week's class and stayed home to complete some outstanding tasks, as well as run some errands nearby. 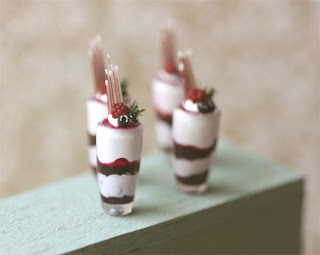 I also had the chance to experiment on dollhouse miniature scale dessert mousse cups. I have been obssessed about them again lately, and started making them in different flavours. One of the challenges I face was, how do I do multiple layers within 1.2cm? How do you decorate the top when the width of the top of the cup is only about 0.6cm? I start from the bottom layer, let it dry, before I attempt the 2nd layer. It's time consuming, and you have to be patient. There were several occasions where I didn't like the first layer, and I remove it before I restart all over again. These are the latest mousse cup desserts I've made. I'm currently making blueberry ones (another experimental breakthrough). More pictures, hopefully next week when I complete them! It's hard to tell from the photos, but these cups are really only 1.4cm tall. 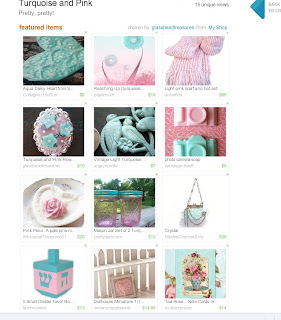 I found myself in this lovely treasury of Turquoise and Pink items!! The colours are just too beautiful! Thanks to Michele for picking me! 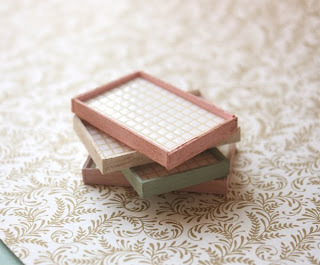 I did mention about papertole craft several weeks ago. Never did I realized it was quite a challenging and tedious craft. Actually I do find it more difficult than miniature making in a way. The difficulty comes in precision cutting, gluing, and everything needs to be neat. Also the difficulty comes in knowing what to cut, where to cut, how to glue it, how high and at what angle to glue it. There is still a lot to learn for me. I finished my first papertole project and it has been framed up beautifully. I love how it looks! This took quite a long time to complete, as you can see, different medium were used besides the original papertole design. Dried flowers, moss, beads, glitter, cotton wool were used in this piece. 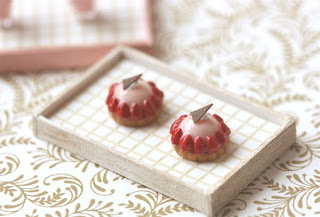 Last week, I took a break from making patisseries and experimented making some dollhouse miniature framed applique decor. I am not sure if you experienced the same thing as me, but I find a lack of quality shabby chic decorations around to decorate my pieces. I do admit that sometimes I have very precise ideas of how I want it to be like, what colour it should be in etc. I like white a lot these days. I like how clean and simple it looks. So, I ended up trying to make my own shabby chic decorations. A white applique decor, which I made it, and glued it to the dis-stressed frame I made myself too. I like how clean and detailed it looks! This looks extremely good on the wall, just on the shelf or kitchen counter. Your eyes will be immediately drawn to its details. I aim to make them in various colours too. Due to my recent classes on Saturday, I'm always in a rush for lunch. My class starts at 1pm. I usually have a light breakfast early in the morning, finish some chores and rush out to have lunch and then go for classes. A couple of times, I was terribly hungry, and had a craving for deep fried chicken chop. I passed by this Japanese restaurant, that serves pretty reasonable lunch set. I remembered their deep fried chicken was sooo good. Hence I was very inspired to make this. A large serving of greens by the side, with lettuce, cucumber, tomato and a slice of hard boil egg. I like my dressing by the side, so I added some thousand island salad sauce by the side. Plus, a slice of lemon so that you can squeeze it right on top of the chicken top! 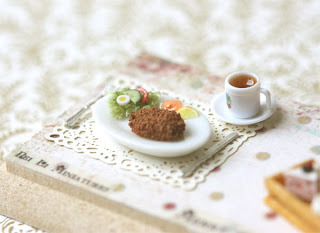 I was thinking about what miniature art piece I wanted to create this christmas. I had various ideas and I even have something started midway but stopped halfway. Haha. I have never eaten a gingerbread house before, but I'm sure I saw some in real life which I can't recall how it looks like right now. They are usually darker brown in colour, due to the use of raw sugar, and they are also often decorated with lots of candies and chocolates which the kids love. I wanted to create something a little different, maybe something that appeals to the adults and ladies who have the similar taste as myself. I imagine one with lots of different types of patisserie. 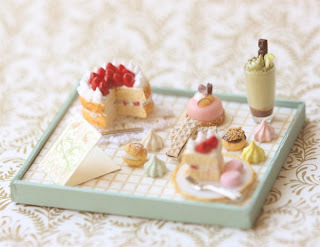 I'm not really a candy person in real life, but I really like pastries, cakes etc. 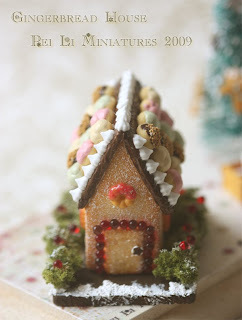 So my idea was to incorporate such into my dollhouse miniature gingerbread house. 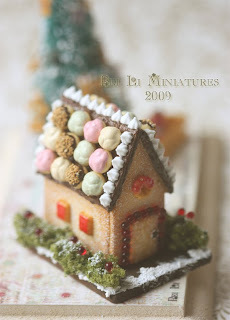 When I started my miniature gingerbread house base, I knew I would want a lighter colour base. Flaky, lightly baked crust would be my choice - with powder sugar sprinkled on it too! The door reminds me of my favourite childhood snack - sugar on the top biscuit! The little so-called attic window was made of a donut with partial filled strawberry jam. The windows on the side were made of strawberry jam biscuits. The roofs were first drenched in chocolate sauce, and followed by profiteroles in assorted flavours. 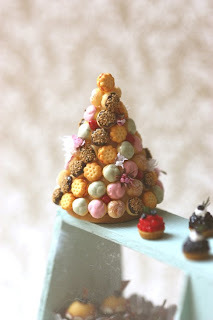 To top if off, I decorated it with fluffy airy white mini meringues. 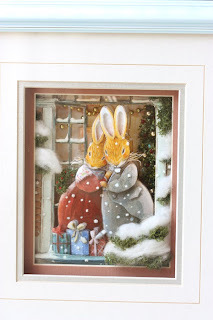 Tiny bushes by the side, sprinkled with snow and berries really brings out the christmas flavour of this piece. I'll leave you to your imagination, on where you want to start savoring this piece if this was a real gingerbread house. For me, it's a toss between polishing the profiteroles off one by one, or just the sugar on the top biscuit door! 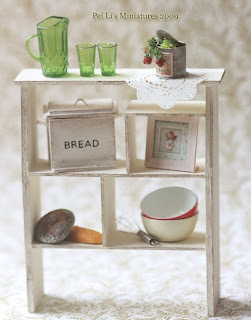 Earlier this morning, I put together some dollhouse miniature kitchen accessories to decorate the shabby chic standing shelf I made earlier a while ago - to demonstrate how versatile the piece can be. 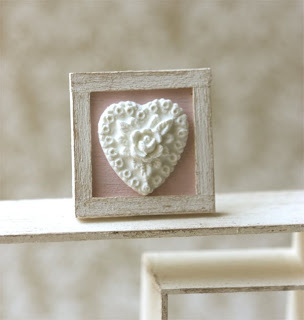 And if you're truly looking for a shabby chic feel/style dollhouse miniature piece, this might be what you would like. I like keeping the colours simple, clean and how the entire look is soothing to the eyes. That green is my favourite! 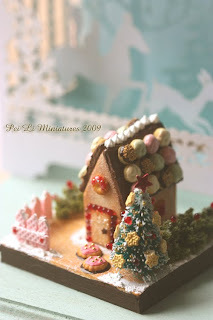 I hope I have inspired you some great decoration ideas for your dollhouse kitchen. Please join us for shopping with a twist on Friday October 2, 2009 as we present "SIMPLY PINK"
Shades of pink are popping up everywhere. Pink, once reserved for women's boudoirs and little girl's dresses is now being incorporated into the décor of homes everywhere. Sometimes in hues of summer sunsets, and sometimes bold and bright, pink makes a statement that is impossible to ignore. Many decorators are "all things pink" fans and put pink in every corner and space - pink furniture, pink curtains, pink accessories. Others' craving for pink is satisfied with just a bit of a favorite shade here and there. You may find a pink pale mirror hanging in the cream colored powder room, an antique pink teapot for tea parties with the girls, or an accent wall painted in a vibrant pink. Mixing shades of pink makes a room feminine, but the single pink accent in a black and white room can command just as much attention. Towels with pink tatting in a white basket, a miniature pink accent placed on a shelf, or a pink cushion on a contrasting sofa. Even when subtle, pink catches the eye wherever it's used. Over the past few years, pink has been proclaimed the new black. It's the color that fits in with any theme - from girly to chic, from romantic to modern. Store windows are filled with eye popping pink accessories and furnishings. Designers are using extravagant pink fabrics for whole pieces or to create just a few pink touches. Websites are celebrating pink by selling pink products and giving us ideas for decorating in pink. What is it about pink that makes us love it so? It's the color of play and delight, yet feminine and strong. It can be whimsical on vintage doll tutus and pink fairy cake pillows. It reflects a bold zest for life when used on larger pieces. 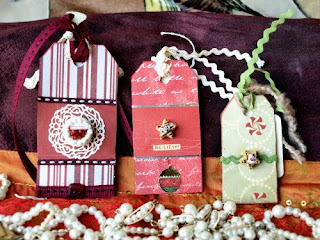 It's a reminder of the past on keepsake boxes, and feminine on a ribbon or a rose. Make Mine Pink represents so much more than just the color pink. It symbolizes women, femininity, strength and calm. Whether you surround yourself with pink or just keep a special pink reminder nearby, pink celebrates life - everything you already are and all your hope for the future. 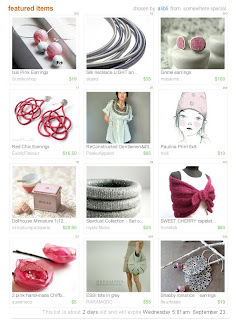 Found myself in a lovely pink treasury today! I had to share a photo! 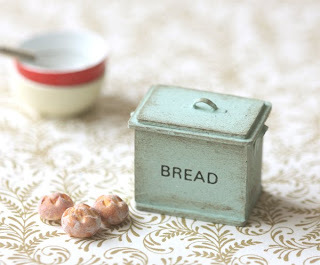 Thanks to alibli for picking my pink dollhouse miniature shabby chic bread box. I'm very excited with its progress and it's looking nice. Well I could only show a picture when I get it back from framing! Then, I also picked another picture for my 2nd piece. I'm drawn by Janet Kruskamo's work, and I had a hard time picking one of her garden scenery pictures. In the end, I picked the Apple Pie Harvest! 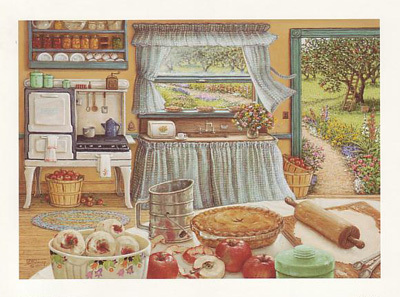 I love the homey kitchen scene, and my teacher said this would be quite difficult to do, as there are way lot more details. I think when you pick a picture you really like, you will have sustained interest in completing it. I'm also thinking of picking another christmas picture, so maybe that for my 3rd project haha! Met up with a long time friend last Friday for a Japanese buffet dinner, and we had fun filling each other on what’s happening in our lives. I share with her about my recent project for Enchanted Makeovers, and my friend suggested that I give a talk at the Zonta Club of Singapore, where she is one of the key members. Typically if it was a stranger who approached me, I would have been very hesitant, as speaking to a crowd was never my thing. However I’m quite excited about this, and in fact, I DID write it down on my goal list, so that I WILL work on it. I think it’s a combination of reasons; I know it will be a safe environment knowing my friend would be there to help me, secondly and very importantly, it’s a topic that I’m passionate about – when it is something you feel strongly about (miniatures & helping the community), it’s so much easier talking about it. Thirdly, I’m happy to know that they share some similar goals about helping to improve the lives of women. So my goal there is to give a short talk about miniature making, a little about how I got started, sell some of my works there in person, and contribute a share of the profits to one of their current projects helping school girls. The target date is set for next year, which I’m absolutely thankful for, because there is no way I could get everything done up in a short span of time. In some of my earlier posts, you would have heard me mentioned Enchanted Makeovers. An internationally recognized non profit organization, they transform shelters for women and children into places of peace and possibilities—not just where basic needs are met, but spiritual needs for hope and beauty also. Terry Grahl, the president and founder of this wonderful organization is one of the nominees in Martha Stewart's Dreamers into Doer's contest, which honor women who have turned their passion into a business or philanthropic venture. She could win $2,500.....which will help Enchanted Makers to complete their makeover projects. I've voted, how about you? 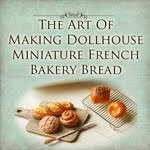 For the last couple of weeks, I was busy making dollhouse miniatures shabby chic bread box. It was time consuming, but fun. I got so engrossed into it, that I ended up wanting to make them in various colours. So yes, I did make them in warm white, pale pink, mint green, antique white too. I just like seeing them being transformed in different colours...there must be one colour that you like? I was flipping through one of my treasured discontinued magazines, called Zakka Book, and I found this photo that shows the various sizes of bread box. And the bread box were huge! 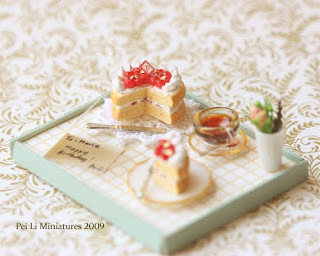 My dollhouse miniature scale bread box are of course a little tad smaller, measuring at approximately only 2.5cm by 2.5cm. 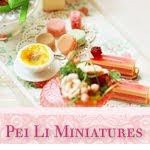 The antique white, pale pink and mint green ones are available at my dollhouse miniatures shop. Picture scanned from the magazine, one of my inspiration photos. Finally, after a few weeks of working on these, I have completed 20 pairs of earrings for Enchanted Makeovers! I'm so happy I finally completed them...and I took a nice shot of a sample of each. I created 4 different designs, so the girls have a variety to choose from. I am hoping these would bring a smile to their faces when they receive them. 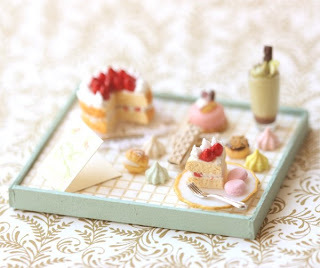 I thought they look pretty cute on my shabby chic kitchen trays in the photos. Click on the photo to see a clearer picture of them! 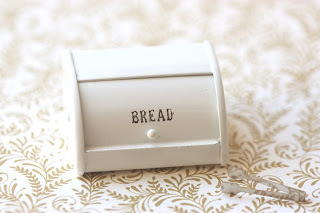 From Wikipedia : A breadbox (chiefly American) or a bread bin (chiefly British) is a container for storing bread and other baked goods to keep them fresh. They were a common household kitchen item until bread started being made commercially with food preservatives and wrapped in plastic. 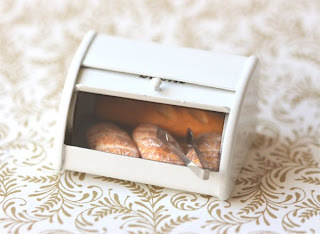 Breadboxes are still used, especially by people who bake bread at home. Newer ones are usually made of metal. In the past they were often made of wood or sometimes pottery (pottery breadboxes are also called bread crocks). 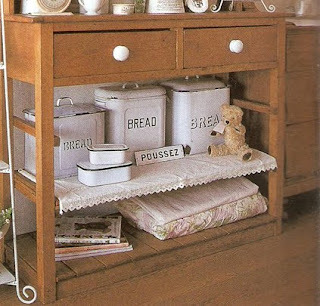 Old breadboxes can be collectible antiques. The lid or door to a breadbox is usually hinged, opening from the front or top, or a fully removable top. Most breadboxes are fairly tightly sealed when closed, helping to trap moisture and prevent their contents from drying out and going stale. They protect their contents from mice and other pests. 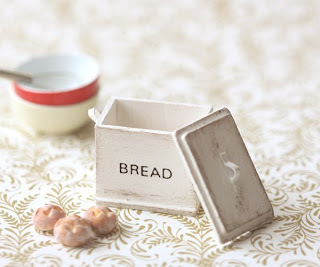 I got an angel to purchase this dollhouse miniature breadbox all the way from Japan for me. It was something I don't see in ebay or online shops. Extremely high quality, well made miniature, I must say. It's made of stainless steel, and spray painted. Don't even ask me how much it is. Let's just say it's only for serious miniature collectors. I was more so delighted that it opens and closes..just like the real thing! 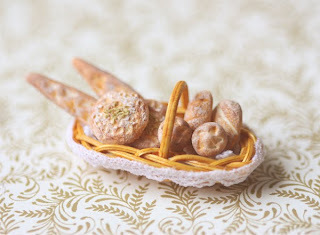 Now you can see my Vienna bread in them! I have this white rattan basket in my collection for a while. Sometimes, I have a wild imagination running when I pick up a raw item; I visualize if they can be transformed into something totally different from their usual state. I saw that potential in the white rattan basket. 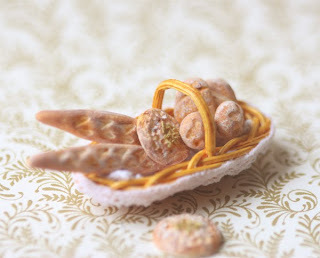 :) I love the basket, but I just did not like its original colour...the original colour was too pale and dead, and didn't bring out the colours of the 1:12 miniature scale breads I wanted to display it in. So Sunday morning, here I am, transforming this white rattan basket. Gave it some colour and added some lace to it and there you go! It looks presentable now! You wouldn't believe I took these photographs today, on a rainy cloudy Sunday, would you? These photos were really taken on a rainy cloudy day, but I'm amazed it looks like they were taken on a sunny day! That's the power of controlling your aperture settings on the camera! I woke up before 8am today even though it was a weekend. I wanted a good long start to this weekend :) There are just so many things to accomplish, and I had kind of lost last weekend. Last weekend, I was down with a bad flu which I couldn't shake it all off. Fever came and went, and I was sleeping and resting in bed mostly. Yesterday, I went to a craft place. My initial idea was to sign up for tole painting. But I'm not even sure why I didn't do that when I reached there. Maybe it was a combination of things. Lack of real completed work to look at could be one reason. In the end, I didn't sign up. Since I was there, I continued to browse some shops, and I found another little craft shop. Went into the shop and realized it was a paper tole craft shop. The pictures and display were very pretty, and I was very intrigued with the intricate work and details of paper tole offers. WoW! Ok and the lady was very nice too, she explained to me what it was, and there were classes. There was even a section at the back of the shop which is a classroom. I met the instructor and she showed me some of the work in progress by her students. I'm sold.... So I signed up for paper tole classes and I can't wait for next week's class. The beginner's class is only for 2 sessions, so I can easily do that. Actually I'm already thinking of taking intermediate since I am drawn to a piece that has a flower, garden theme to it. But I'll start with the beginner's class first...I think I'm going to pick a Peter Rabbit picture for a start. The first time I read Terry’s story, it struck and touched me deeply because it was about how she found her true calling and how the project that came into her life at that point transpired into something greater - a passion and a cause that is greater than herself. And of course, I later learnt that Enchanted Makeovers was constantly seeking crafters who could put special touches to the makeover project. There are so many ways one can contribute. As I love creating, you know I was very delighted when I got in touch with Terry and asked how I can help. I’m happy to be able to create something loving and special for the girls. So…I shall be busy with my new project, and oh so excited. I shall keep it a secret for now what I’ll be making, but stay tuned if you want to know. I’ll be taking photos definitely…when my project is done! Off to help transform the lives of young women and children in my own little ways……. I also made these strawberry dome cakes recently! As I promised, a photo of the moo cards I made...I was pleased with them! I guess the coolest thing was that you can pick more than 1 photo to be used for your namecards, something very different from the traditional way of making namecards. I had a good relaxing 3 day weekend holiday. Much needed actually. I indulged in listening to music, lots of it actually, reading, browsing magazines, plotting my next purchase (always so exciting), and crafting of course. Wished I had more time to do everything I love, but isn't it always about time management? Blogger has been a little wonky of late. I was trying to access it a few days ago, but it was just not working. Anyway, I have been “tagged” by my new friend, Oiseau deNim to do a challenge. 4. pass this challenge to 4 other blogs. Her amazing work is featured in Somerset Home Magazine!! I’m so happy for her! I recently ordered some moo cards :) They were beautiful and the quality was great. I'm pleased. I should take a photo later this weekend. I like the laminated effect. But based on my own experiences, I would suggest not to pick photos which you need to zoom/tweak alot on the moo website. Slight adjustment is fine, but not major tweaking. What you see is not what you get. I picked a few photos that need major tweaking, and they didn't work out :( Lesson learnt. But majority of my other cards came out great. So any way, I got this free coupon code ONLY for first time orders. If anyone wants to give it a shot and try their services, please feel free to do so. I don't know for how long this code last though, it's not stated on the coupon. So what did I accomplished last week? I finished this rather unique gift set which was an idea I had from making a birthday set for my friend earlier. 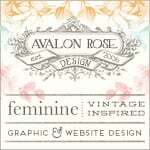 Looking for an unique yet personalized birthday gift? 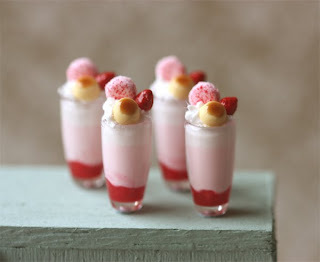 One with delectable desserts, cakes in a pastel romantic theme? This would be just perfect for someone who loves sweet desserts. 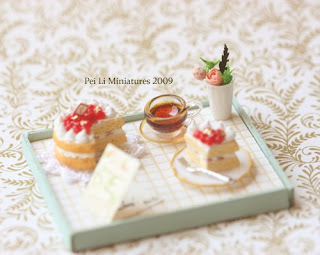 Made in 1/12 miniature scale, all that is left is just to fill up the birthday card…. Delight your loved one with this unique gift. Measurements for the board is 5.7cm by 4.6cm. 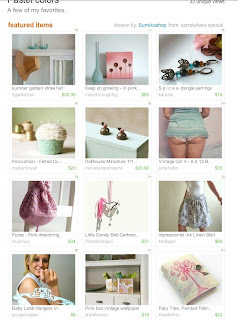 I was ecstatic to find out that I was on Front Page of Etsy today....picked by Etsy! They picked my summer profiteroles tower. Couple of weeks ago, I came to know of a friend’s birthday (Marie) and I decided to make something special for this sweet friend. Now that she had received her present, I can now share a couple of photos that I took! I personally like the sweet clean colours! It has been more than a year since I last posted my cross stitch project. The last time I blogged about it was on July 27, 2008. Sadly, I don’t always have time to stitch…but whenever I pick up my stitching, I don’t want to let go. Just today, I spent quite a bit of time on it : ) I still have 1.5 pages to go….. I just took a photo of the progress today, as I wanted to see how far I have worked on. Not very much honestly! But I am hoping…that I can complete it by end of this year to make it in time for Christmas! Actually, the next reason is that I still have A LOT of other cross stitch projects that I haven’t started, but wanted to start. Each week, I go through different phases. 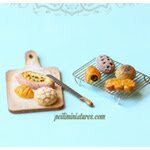 Sometimes I crave for desserts, sometimes I crave for pastries. When the inspiration hits, I don't want to lose it. I have many work in progress going around. The major reason for this is due to the medium I choose to work with which is air dry clay. Nothing ever gets completed in 1 sitting, and therefore, as I am waiting for something to dry, I move onto the next thing. There are about 5-6 different types of work in progress lying on my desk . All of them are in the midst of drying. As such, it takes time to complete one thing. 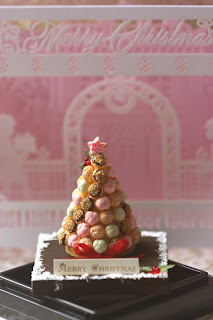 I got a sweet email from Wendy today, that my profiteroles tower had been featured in her website. I had a very nice and unexpected surprise today. The postman came and sent me a big box of goodies from Marie who lives in France. Marie is one my customers turned friend, and we talk about desserts almost daily. It is true! I'm so lucky because Marie sent me boxes of Bonne Maman biscuits & LU biscuits. I don't think it can be found locally. These are very well known brands in France, and she mentioned they are delicious. And of course, I love the packaging of Bonne Maman biscuits. Don't they look adorable? Besides biscuits, Marie also sent me non-edible stuff. I tell you, the Olive Oil body gel on the right in the photo smells so heavenly that I won't bear to use it. Vintage cups, gift tags, a faux cupcake (so pretty!! ), heirloom vintage french linen table cloth, faux white roses, a book of Petits Desserts (amazing photos), and a Bonne Maman Jam bottle....and guess what's in the bottle? Those are petal soaps. I initially thought they were flower petals that she plucked fresh from her garden, but I asked Marie and she told me they were petal soaps! Oh my, I went to try it out at the wash basin and they do melt away once I mix it with water. Many thanks to Marie, I cannot find enough words to express my thanks, but you are the sweetest !! I had a very busy week this week! Work was piling up and so my miniatures making did slow down a bit. ;) Also I was researching alot on new cameras. I have my camera for close to 10 years now. If you think about it, technology changes so rapidly; things become obselete quickly, it's hardly you use a digital item for that long a time. My old trusty Sony camera has served me well for all these 9.5 years! It has never been spoilt! And in fact, it's still working, if only I go get a new battery. Now, it only works if I plug it straight to the wall socket constantly. I was nervous about switching brands, since it takes time getting used to the buttons, functions, everything. But I figured it can't be that bad. And to think I was once a film student. Didn't do much this weekend except playing with my new toy, and taking photos of my stuff using my new toy! I think....the next class I need to go for is photography class. I want to learn to use my camera more effectively.